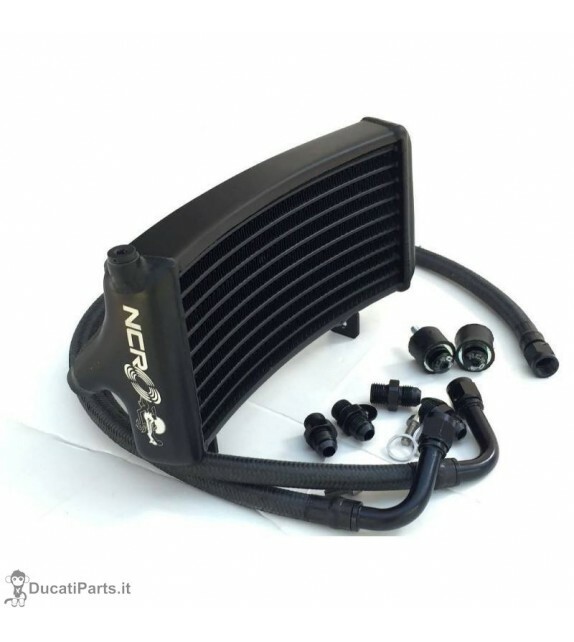 The NCR aluminum over sized oil cooler offers 58% more cooling capability when compared to OEM. Includes carbon fiber lines and all fittings needed to mount. The NCR logo is etched on both sides of the oil cooler. These kits are now coming with silver hardware and fittings rather than black.